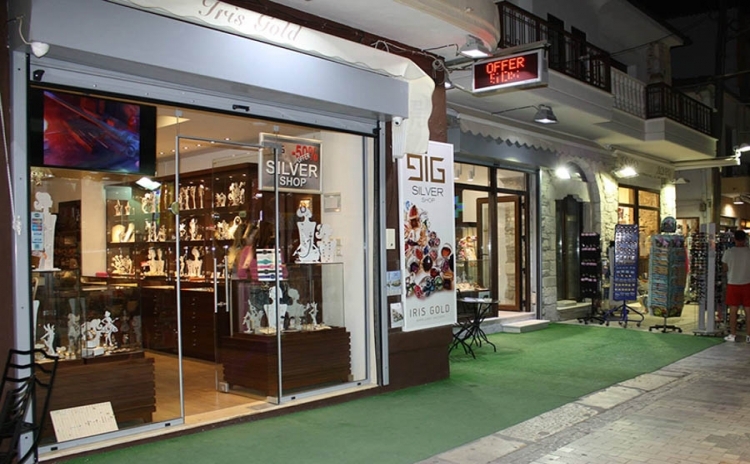 Our "IrisGold Outlet Store" opened in 2013, next door to “IrisGold Limenas Branch” here you will find end of line collections which are discounted by up to 50%. You can find it at the "Dekatis Oktovriou" Street, next to"IrisGold Limenas Branch". Our "IrisGold Outlet Store" opened in 2013, next door to “IrisGold Limenas Branch” here you will find end of line collections which are discounted by up to 50%. You can find it at the "Dekatis Oktovriou" Street, next to"IrisGold Limenas Branch".